Innovate UK published an article on Molecular Warehouse, highlighting the success of the Development of Prototype grant it received in 2016. Click on title below to access article on Innovate UK website. Full text copied below. Innovate UK funding helps to open up multiple markets for versatile bio-sensing technology that is attracting partners and investors. 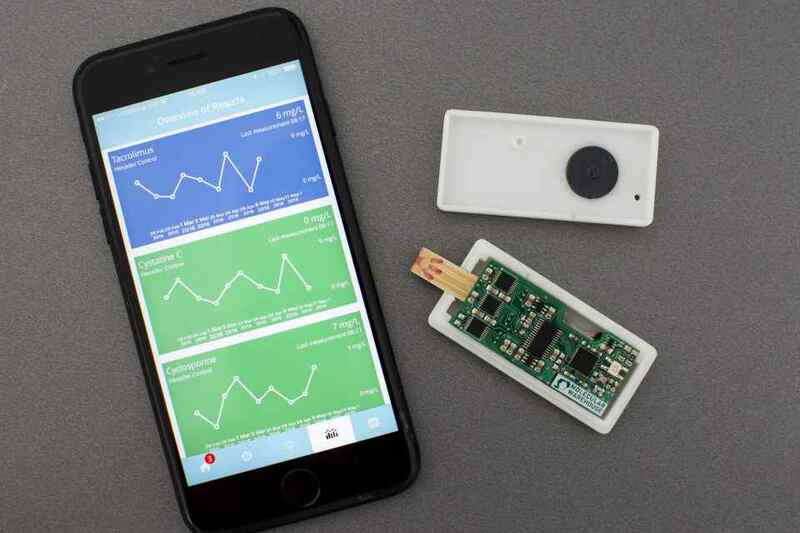 A start-up which began with an idea for a simple, finger-prick blood test to monitor kidney transplant patients is expanding to many other application areas for its smartphone-enabled device after support from Innovate UK. Staff numbers at Molecular Warehouse have grown from just 3 at the start of the project. Molecular Warehouse received funding of £250,000 for a 16-month project. It has delivered on time and to budget its original aim for a molecular bio-sensing platform that can remotely monitor the levels of drugs needed to prevent organ rejection. Its scope now also extends to monitoring of dialysis patients. Other application areas, which are at various stages of development, include: diagnosis of acute pancreatitis, haemophilia and coagulation, chronic stress, vitamin D deficiency and prostate cancer. At Health 2.0, a recent conference on digital health, the Guildford-based company, was singled out from more than 100 contenders as the best candidate for Series A funding. We have more than 40 companies and a large number of clinicians interested in our technology. The main intellectual property we hold is in the bio-sensors that we have re-engineered to recognise protein biomarkers and drugs – or anything molecular, really. The potential is huge. We always had a very ambitious business plan but the grant from Innovate UK helped a lot. It carries a lot of prestige, even with investors from outside the UK. We had raised about £200,000 ourselves. Then we got the grant and, on the back of that, were able to raise £1.2 million more. Molecular Warehouse’s bio-sensing device is expected to go ‘live’ with patients in 2018. Molecular Warehouse, which has grown from 3 staff at the start of the project to 12, has since struck a co-development agreement with Chiesi Pharmaceuticals for the transplant application. If certain milestones are reached, Chiesi will finance the final clinical development, regulatory approval and commercialisation of the test. It will then become rapidly available to hundreds of thousands of patients globally. The concentration of drugs in a transplant patient’s bloodstream needs to be maintained in a narrow range that lowers the immune system’s reactivity enough to avoid rejection, but does not expose the patient to an increased risk of infections. Studies indicate that 40% of transplant failures are due to poor monitoring of drug levels and not adhering to medication. The goal of the collaboration between Chiesi and Molecular Warehouse is to develop a system that will enable patients to self-test at home. That will save time visiting clinics and precious health service resources, and reduce the rate of readmissions to hospital and transplant failures. Every successful kidney transplant leads to a 10-year increase in patient life expectancy and over £250,000 in cost savings to the NHS compared to the patient being on dialysis. If used by the 35,000 kidney transplant patients in UK, Molecular Warehouse estimates that its test could save the NHS almost £80 million annually and save hundreds of lives. Following successful tests of the first batch of volume-manufactured sensor chips, Dr Perez expects the monitoring platform to complete regulatory and CE mark approval by April next year, initially for dialysis patients. The plan is for the device to be in use by health care professionals in the first half of 2018 and to go ‘live’ with patients later in the year.